Elegant, space-saving wardrobe element - reduced to the essentials in design and functionality. Elegant, space saving and extremely versatile in colour design - Line is reduced in design and functionality to the essentials. 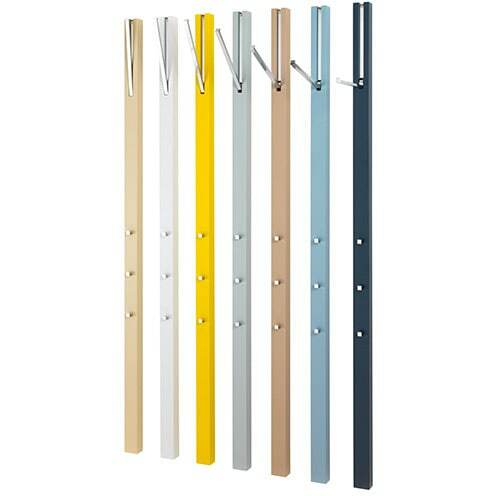 On the coloured wall panel is a small fold-out clothes rod for hangers and jackets as well as three smaller hooks - both rod and hooks are chrome plated. Line is everywhere especially useful where wardrobe must be accommodated in a small space - whether in the hallway, in the guest room or nursery or even in the office, the wall panel needs tiny space. Matching the wardrobe the Wall mirror Line is available in our shop. Do you have a question about "Line"? How can we contact you?